When Apple introduced the new iPad Pro, the company boasted that its slim slate is more powerful than 92 percent of PCs out there. 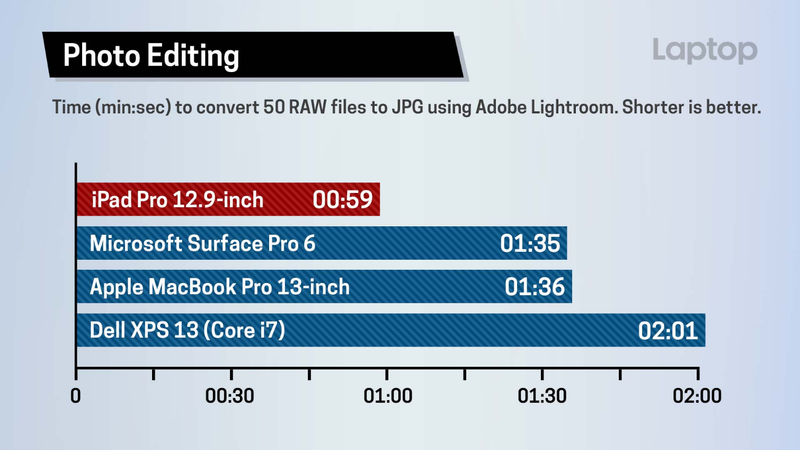 Now that we've benchmarked the 12.9-inch iPad Pro for our review over at Laptop Mag, it looks like that claim could very well be legit. The 7-nanometer A12X Bionic chip processor inside the iPad Pro packs four performance cores and four high-efficiency cores, and there's a new GPU that promises twice the graphics performance as the A10X processor inside the last iPad Pro. 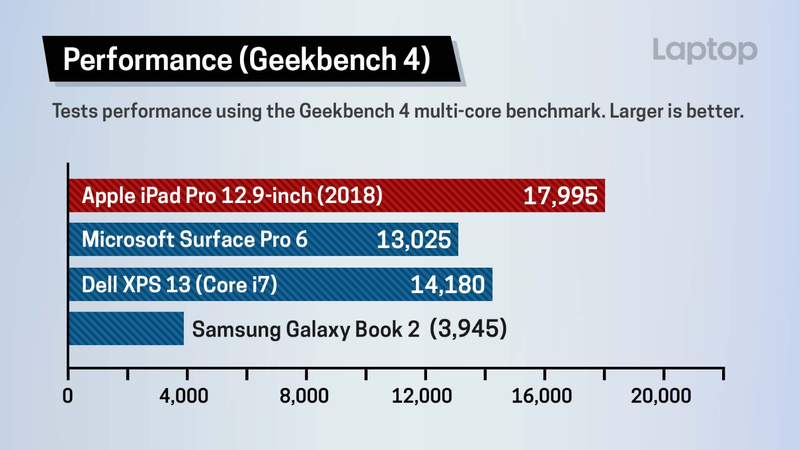 On Geekbench 4, which measures overall performance, the iPad Pro notched a score of 17,995. 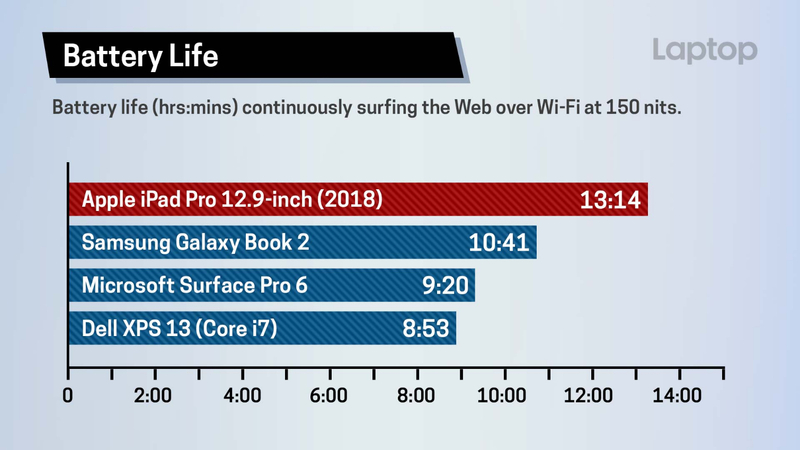 That blows past the Surface Pro 6 with a Core i5 CPU and even the Core i7 version of the Dell XPS 13. 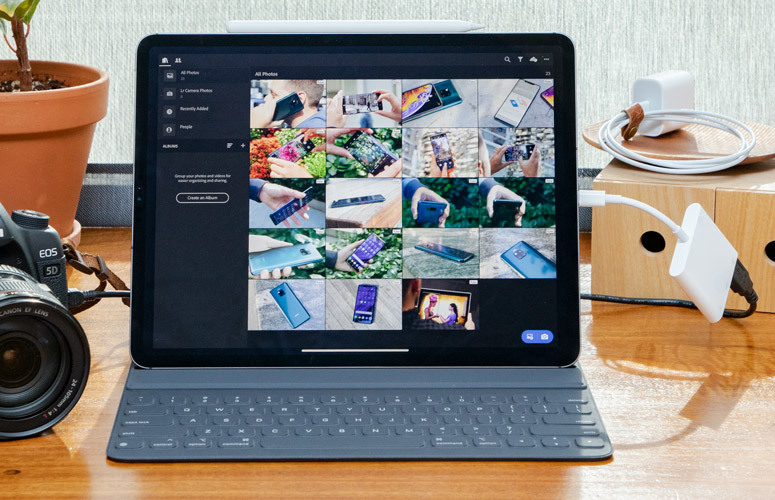 Samsung's Qualcomm Snapdragon 850-powered Galaxy Book 2 (3,945) doesn't even come close to Intel-based PCs, nevermind the iPad Pro. 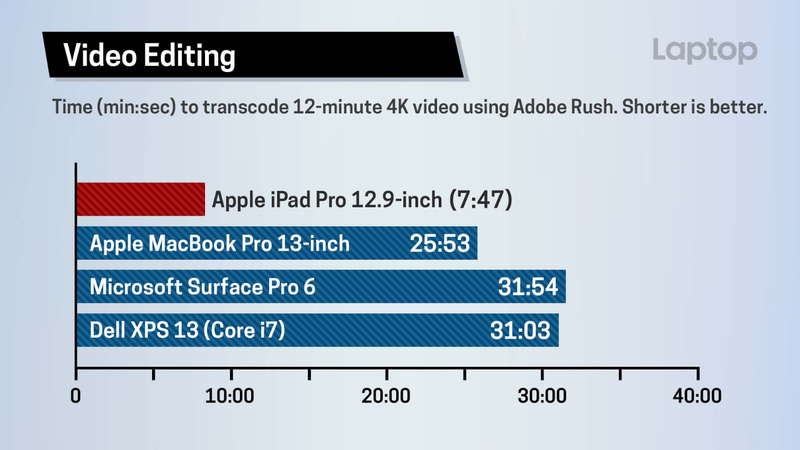 The 13-inch MacBook Pro with a Core i7 chip was just slightly below the iPad Pro at 17,348.